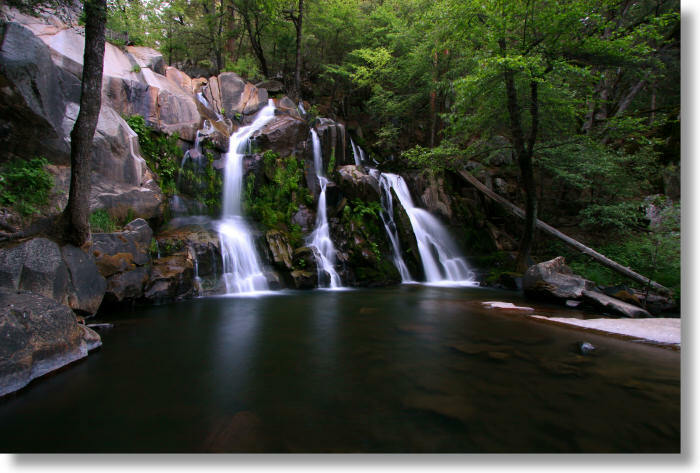 The upper section of Corlieu Falls is the largest and most spectacular, but also the most difficult to reach. The detour from the main trail, though short, is steep and somewhat slippery. Grippy shoes will come in handy here. This photo does a poor job of conveying scale. It may not look it here, but this fall is about 40 feet (12 meters) tall. If you hired your own swimsuit model to stand at the base of the falls and provide a sense of proportion, he or she would be a little taller than your mouse cursor.